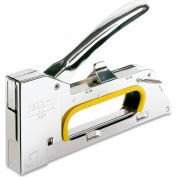 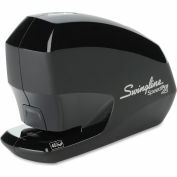 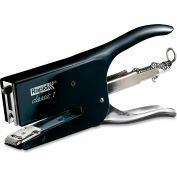 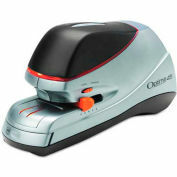 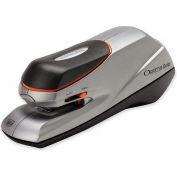 Heavy-duty stapler uses one staple size whether you are stapling 2 to 170 sheets. 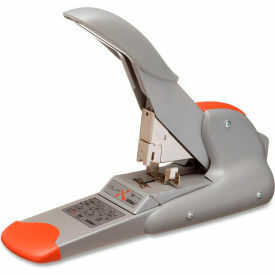 Design allows the stapler to sense the depth of paper stack so the stapler cuts legs of Duax staple to exact length needed. 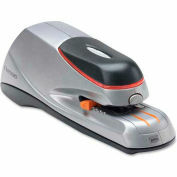 Leverage system provides less effort stapling. 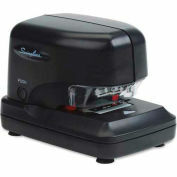 Extra-wide base provides stability. 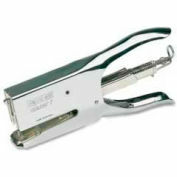 Stapler also offers a flat-clinch mechanism and easy front-loading of staples, Jam-Free system, all-metal inner housing, metal adjustable paper guide and low-staple indicator. 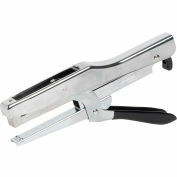 Stapler holds and includes 400 DUAX staples.